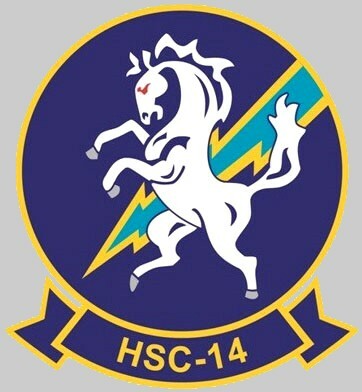 HS-14 was established on 10 July 1984 at NAS North Island in San Diego, California. 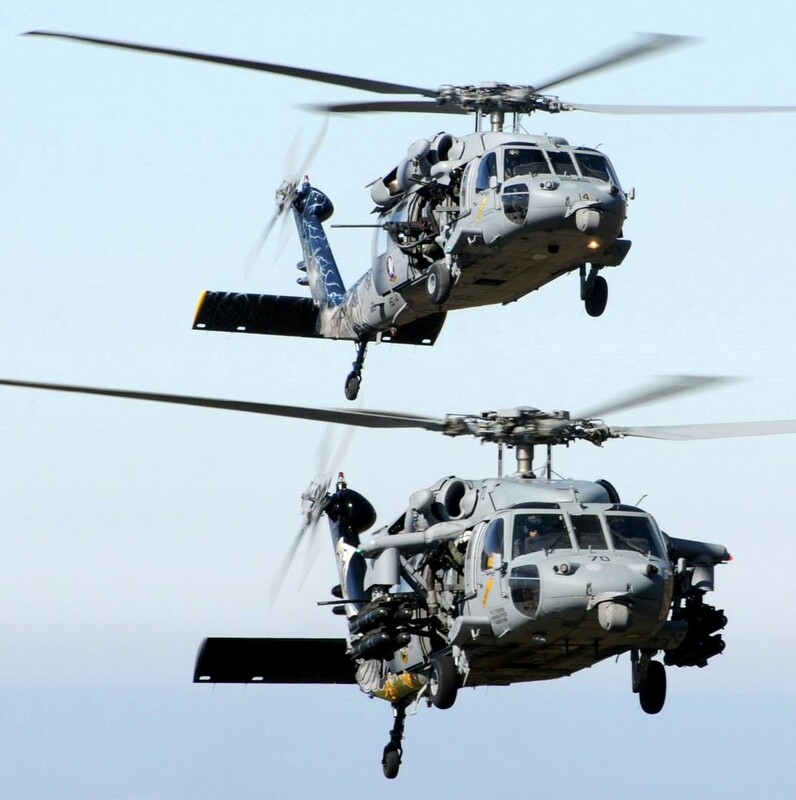 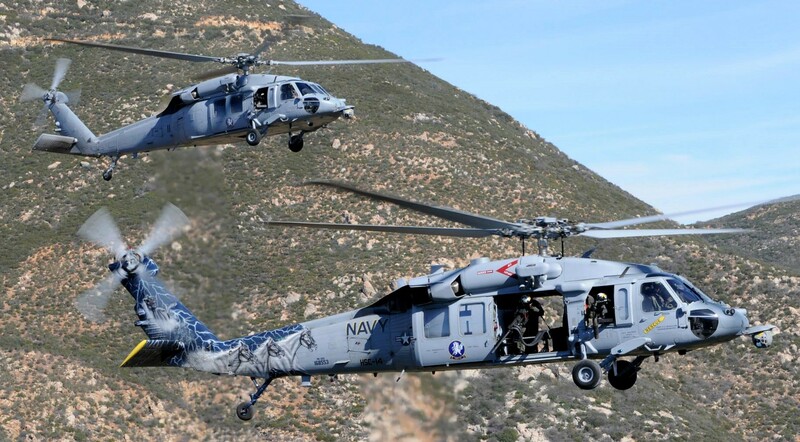 HS-14 originally flew the SH-3H “Sea King” and later the SH-60F and HH-60H “Seahawk” helicopters built by Sikorsky Aircraft. 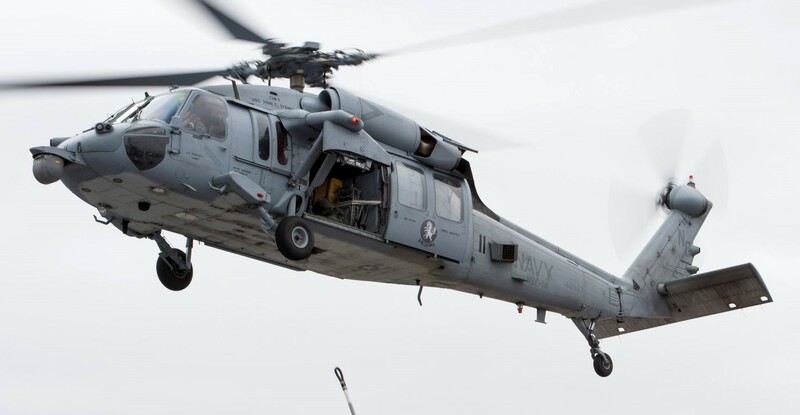 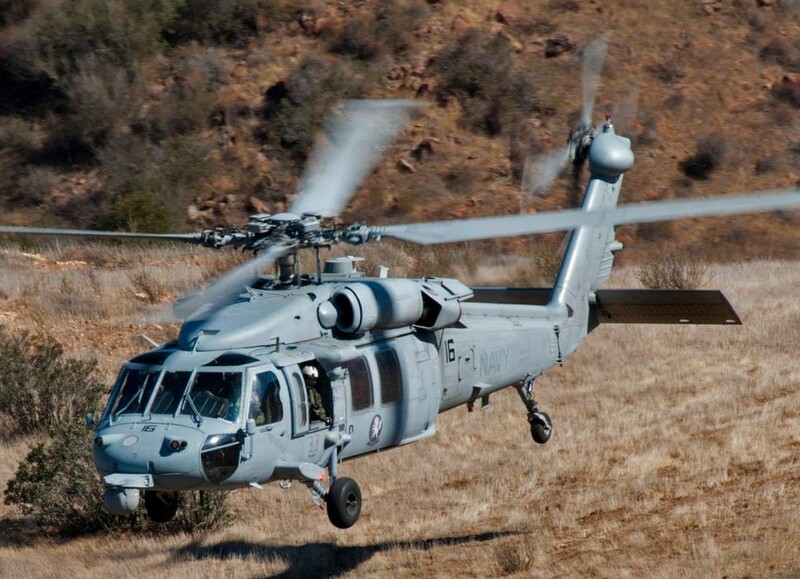 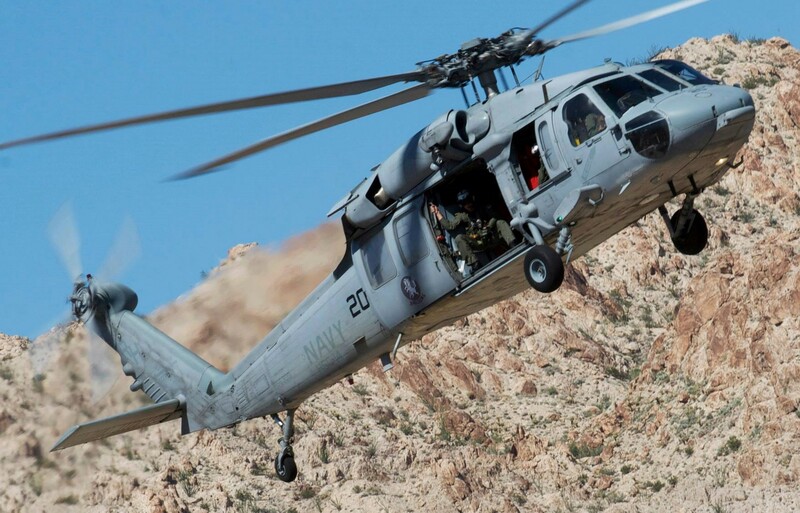 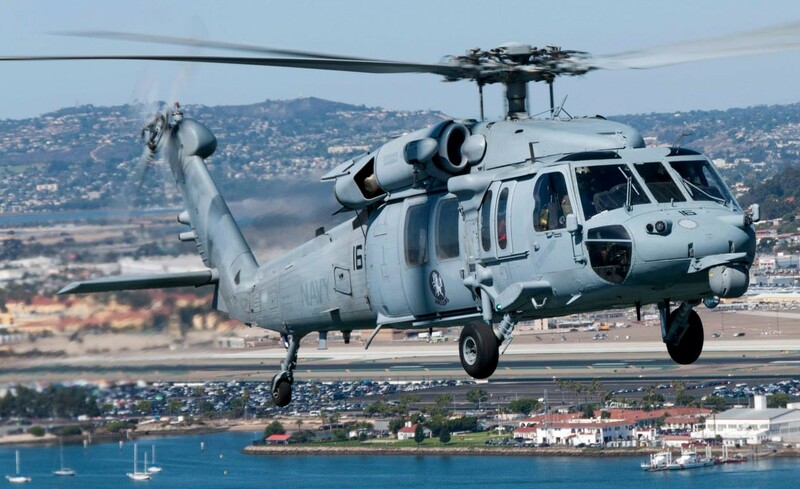 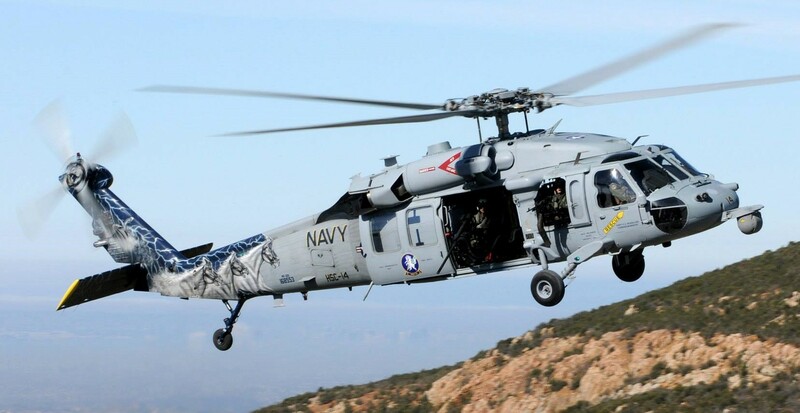 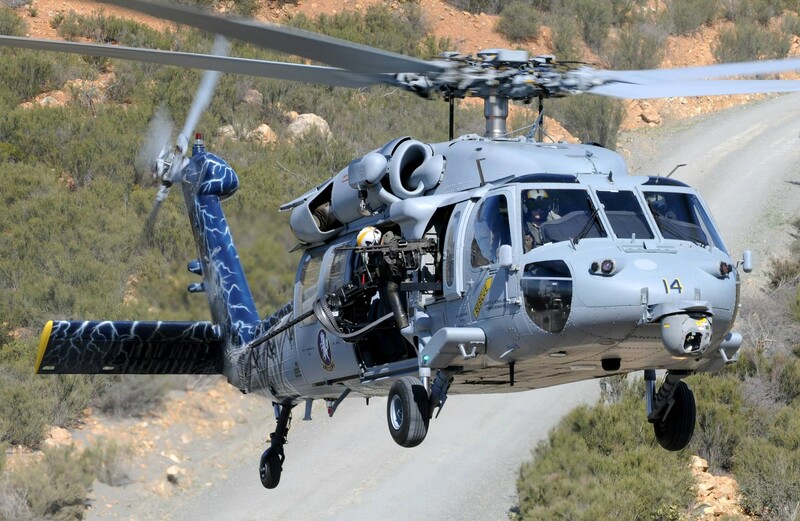 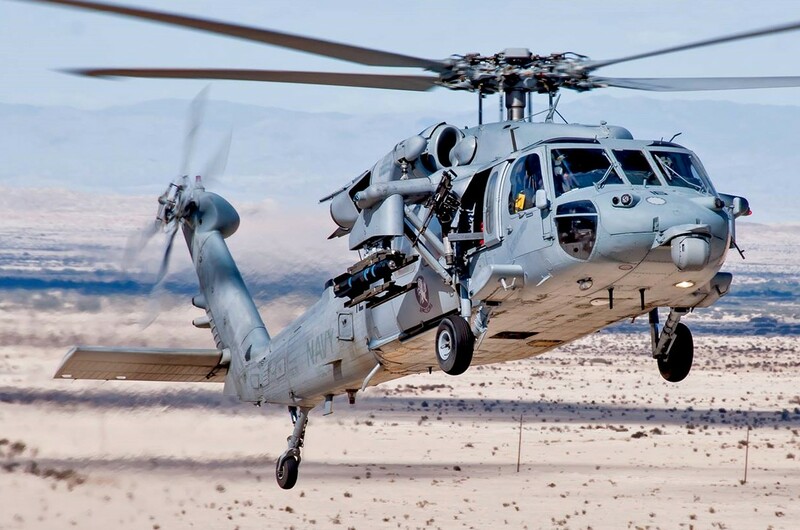 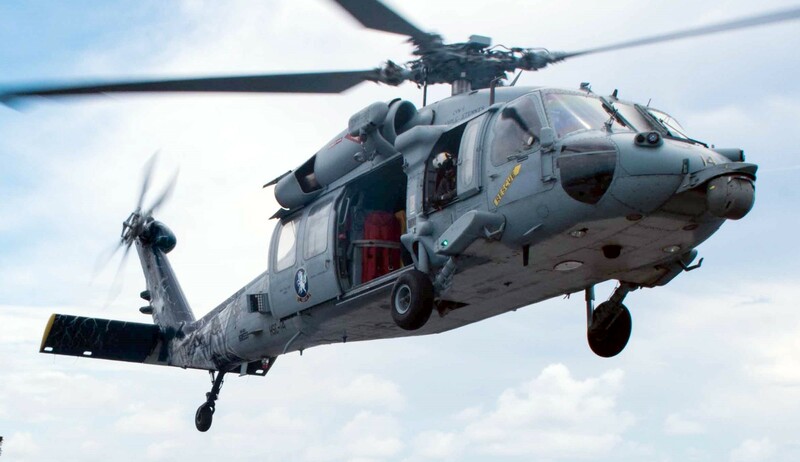 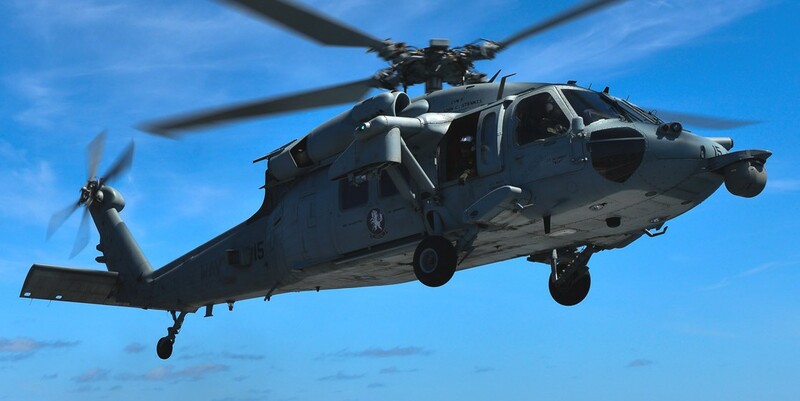 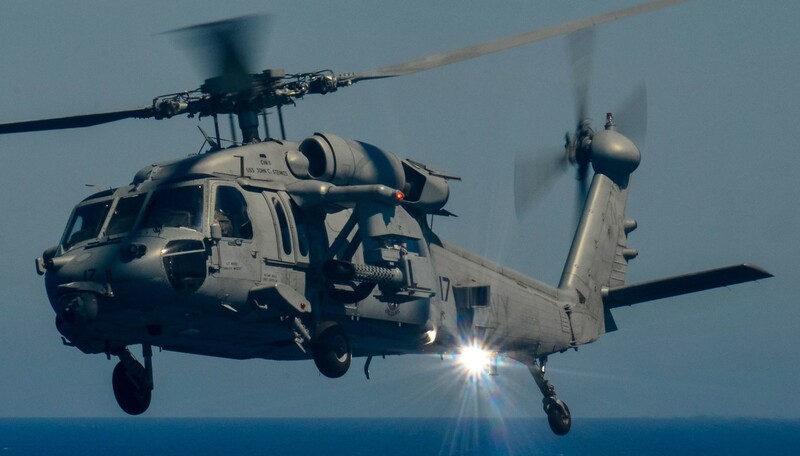 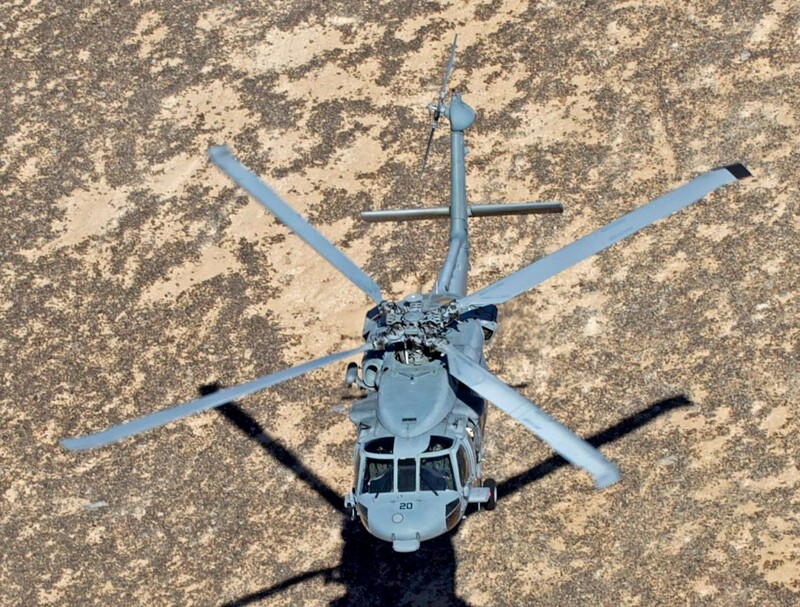 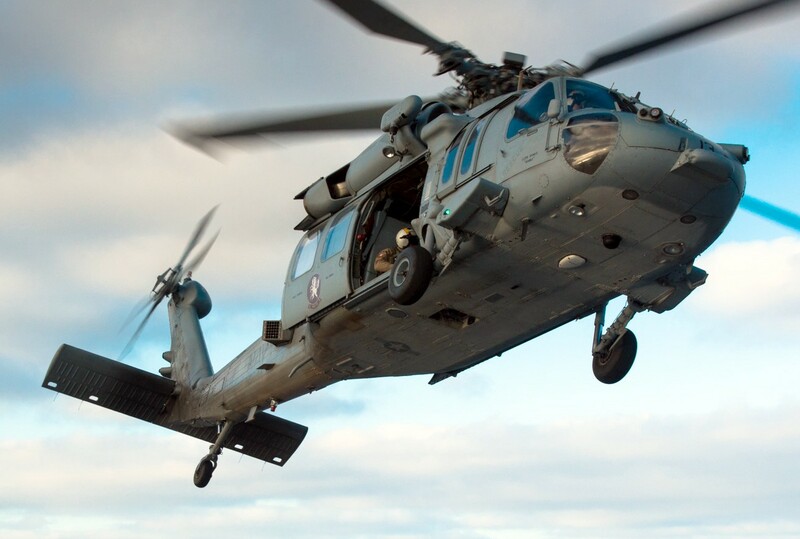 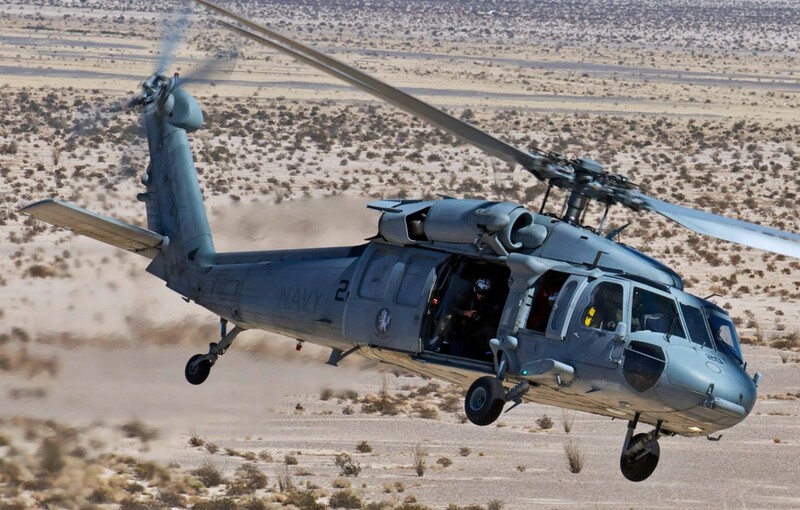 The squadron is currently undergoing a transition to the MH-60S airframe. 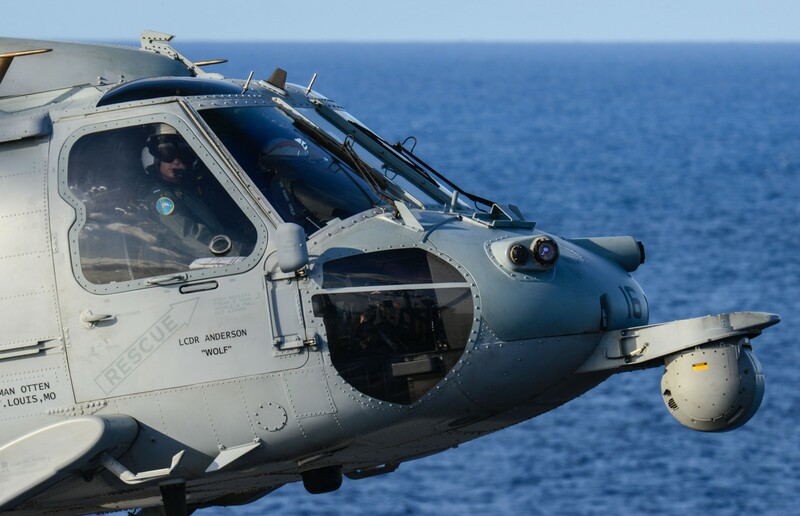 Using the call sign “Lightning,” HS-14 is a proud member of Helicopter Sea Combat Wing, U. S. Pacific Fleet, stationed at NAS North Island, CA. 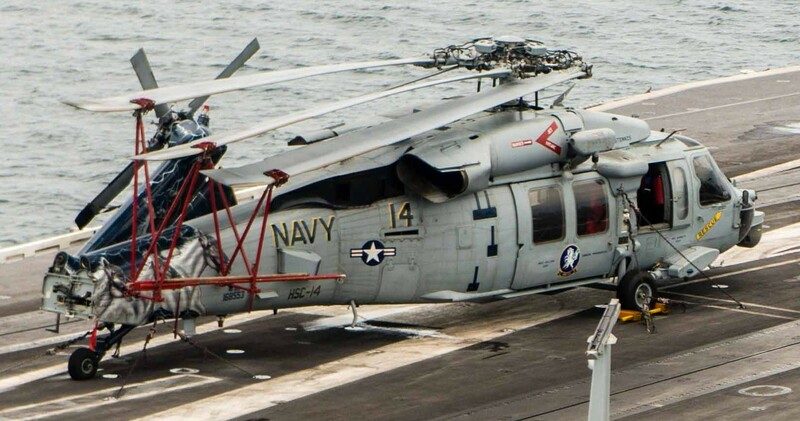 From 1989-1993, HS-14 played a key role in Operations DESERT SHIELD, DESERT STORM, SOUTHERN WATCH and RESTORE HOPE while embarked aboard USS RANGER (CV 61). 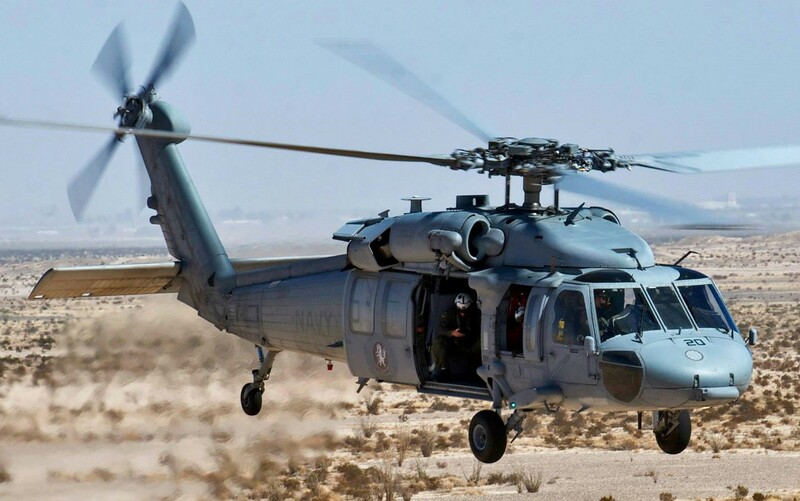 During Operation DESERT STORM, the squadron was instrumental in securing the Northern Arabian Gulf, destroying gunboats, clearing mines, and conducting takedowns of Iraqi security stations. 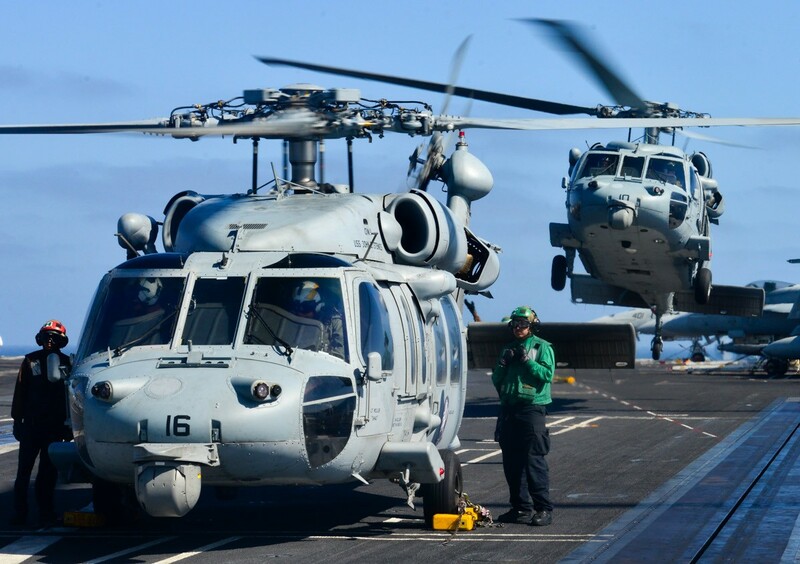 By October 1994, HS-14 began its commitment as a Forward Deployed Naval Forces (FDNF) squadron with Carrier Airwing FIVE (CVW-5) in Atsugi, Japan. 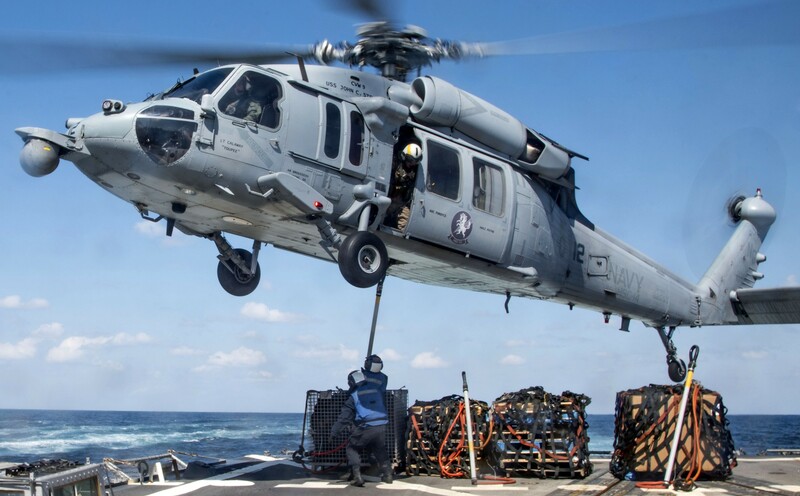 Over the next decade, HS-14 deployed aboard USS INDEPENDENCE (CV 62) and USS KITTY HAWK (CV 63), and continued its support of Operation SOUTHERN WATCH as well as participating in the THIRD TAIWAN STRAIT CRISIS, ENDURING FREEDOM, and IRAQI FREEDOM, providing helicopter support for forward-deployed Navy SEALs. 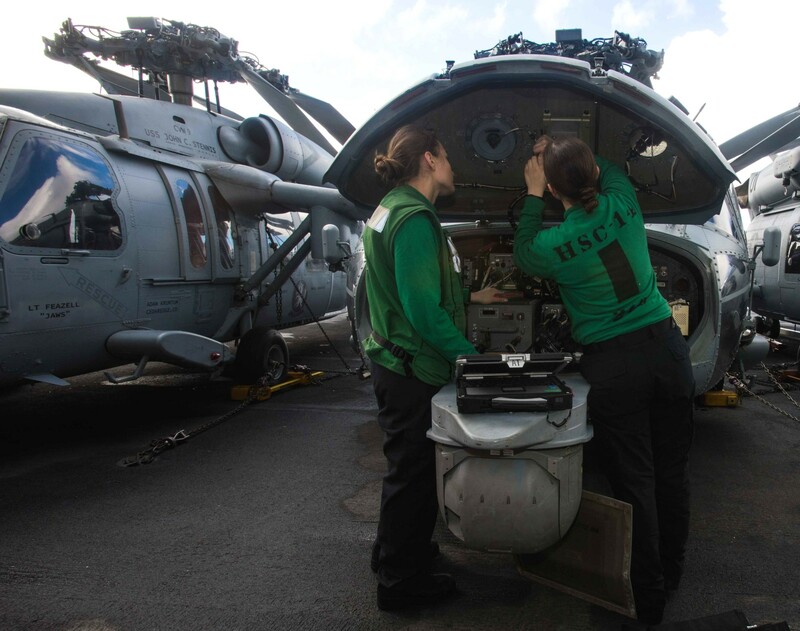 The Chargers also affected the rescue of a CVW-5 aviator who was downed in hostile territory, and provided vital support in the recovery of a downed S-3B Viking crew in the remote jungles of Iwo Jima. 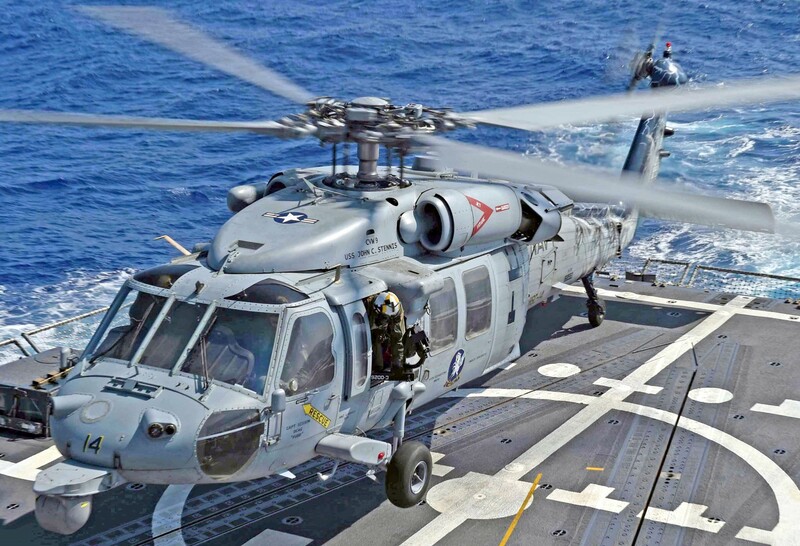 In 2007, the Chargers became the first squadron in the HS community to provide permanent detachments on cruisers and destroyers, while simultaneously deploying on the carrier. 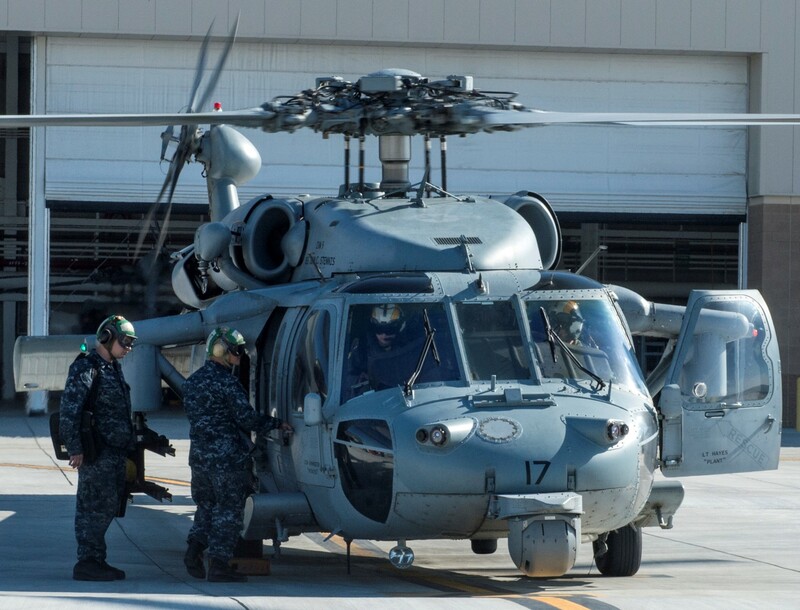 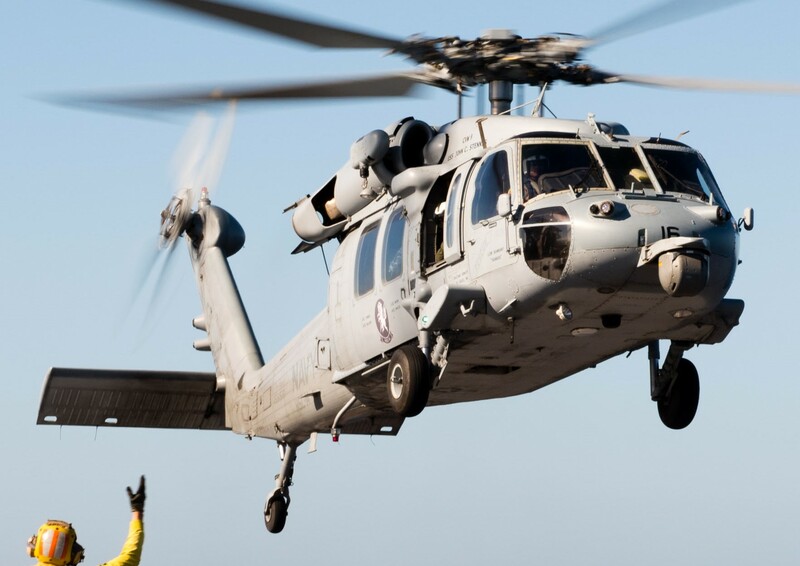 In the process, HS-14 became the largest HS squadron in the Navy, with 12 helicopters and almost 300 personnel. 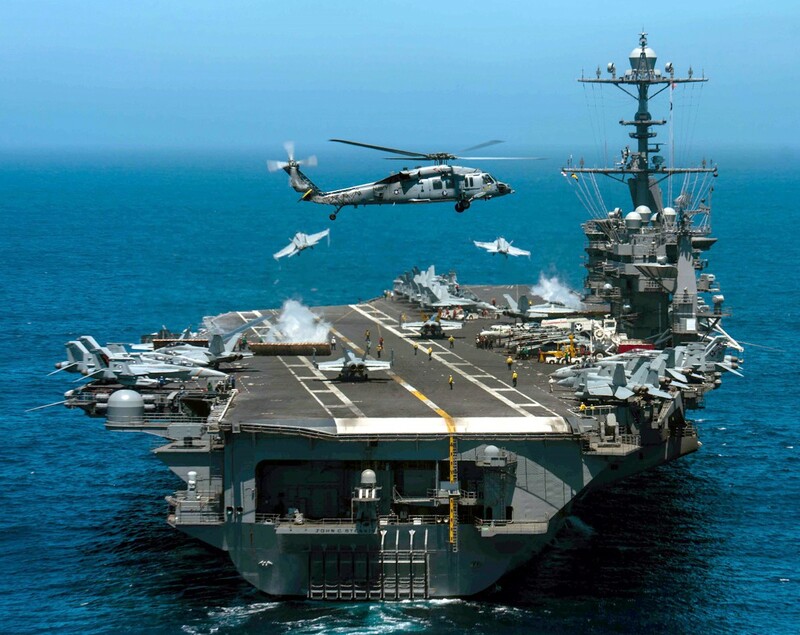 In 2008, the squadron began deploying with USS GEORGE WASHINGTON (CVN 73), taking part in numerous multinational exercises to include TALISMAN SABRE, ORANGE CRUSH, JASEX, SHAREM, MULTI SAIL, ANNUAL EX and VALIANT SHIELD, involving Japanese, Australian, and South Korean forces in the SEVENTH Fleet AOR. 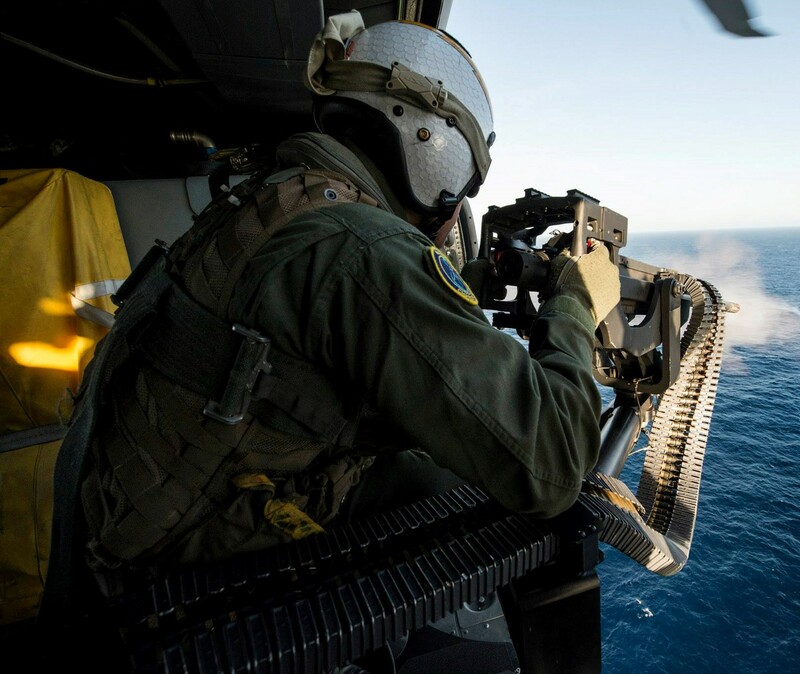 March 2011 saw a massive earthquake and tsunami ravage the Japanese coast. 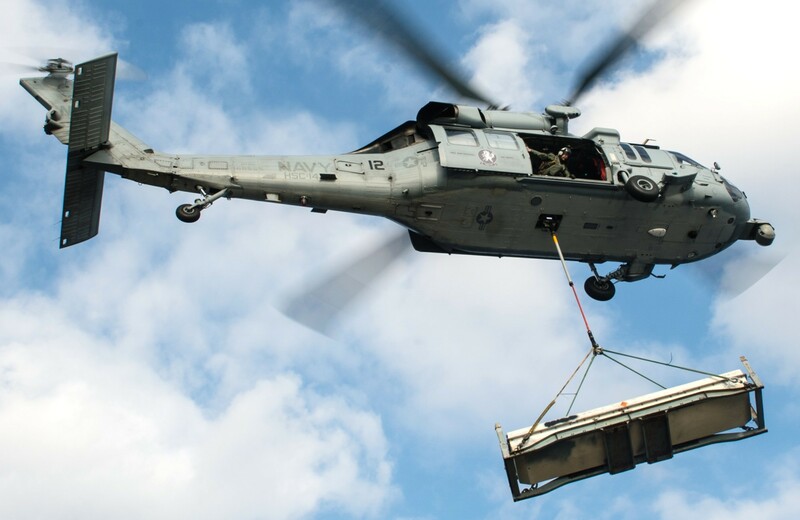 Operation TOMODACHI ensued and HS-14 responded within 24 hours and delivered over 62,000 pounds of humanitarian aid while conducting numerous search and rescue operations in a radiologically contaminated environment. 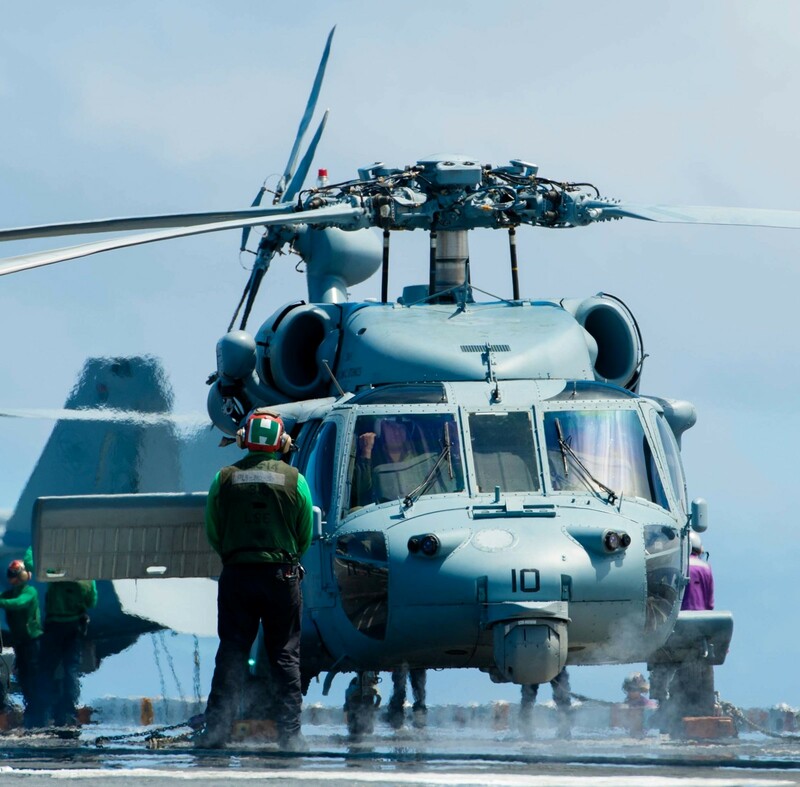 Later that same year, HS-14 was again called upon to provide Humanitarian Assistance and Disaster Relief (HADR) in the wake of devastating flooding in Thailand.HS-14 excelled in 2012, spending 185 days deployed and completing 4512.7 flight hours and 1,740 sorties. 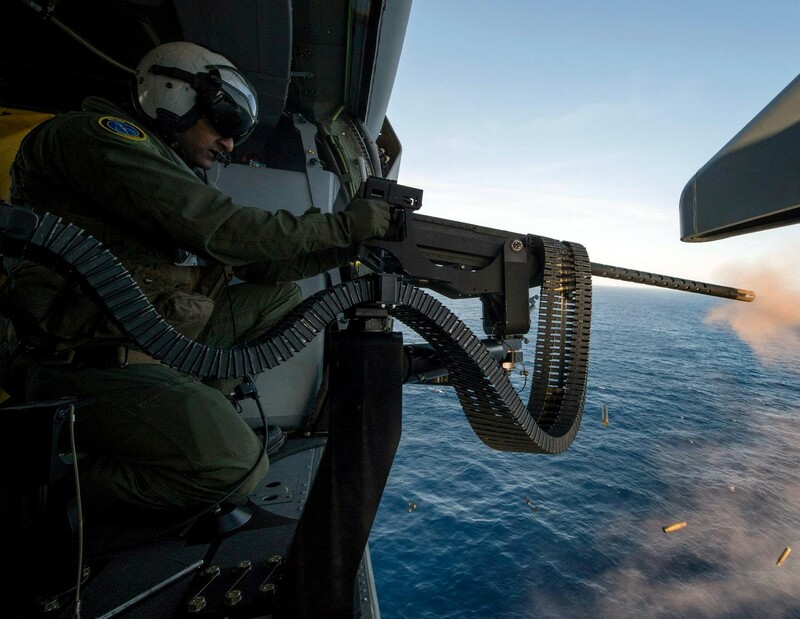 In June alone, the Chargers executed 705 hours. 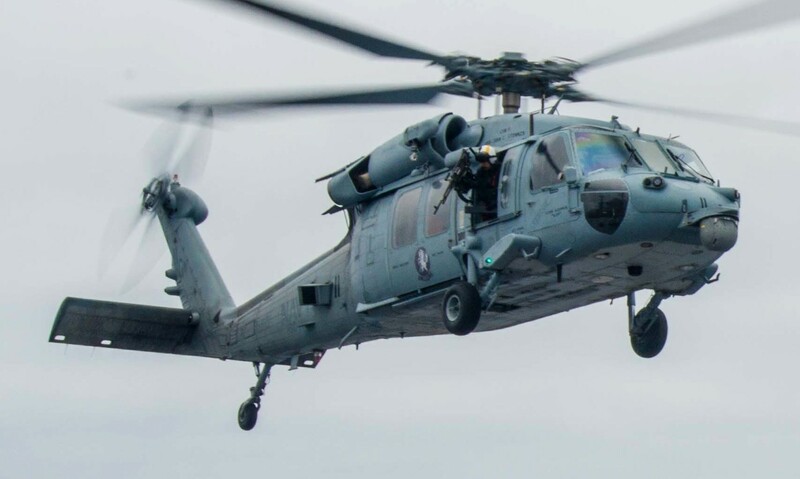 In addition to four separate exercises, the squadron simultaneously supported a three-aircraft PR and SOF detachment to Andersen Air Force Base, Guam, teaming up with Naval Special Warfare Training Unit ONE, Navy Special Boat Team TWELVE, and EOD Mobile Unit FIVE. 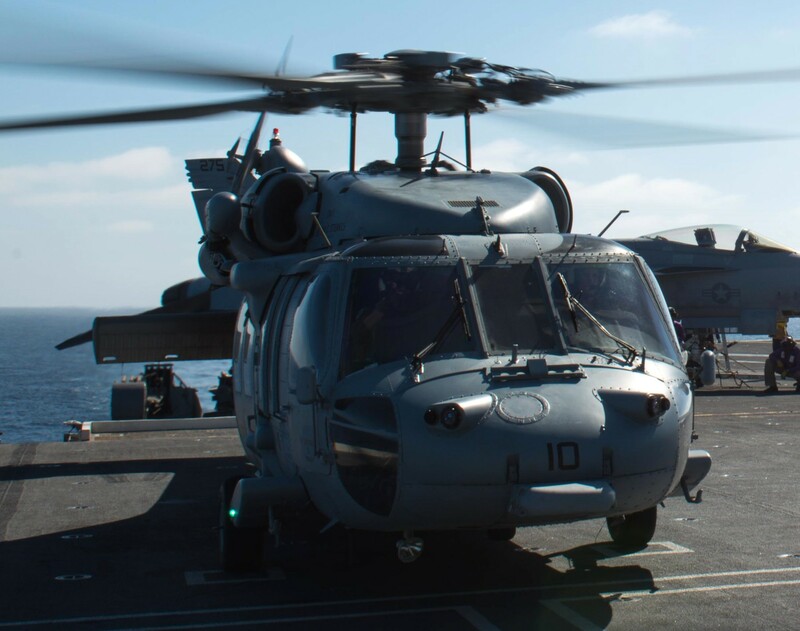 After officially transitioning to HSC in 2013, and moving back to San Diego the squadron logged 520 sorties and 1,610.5 flight hours toward further readiness, spread throughout all mission sets. 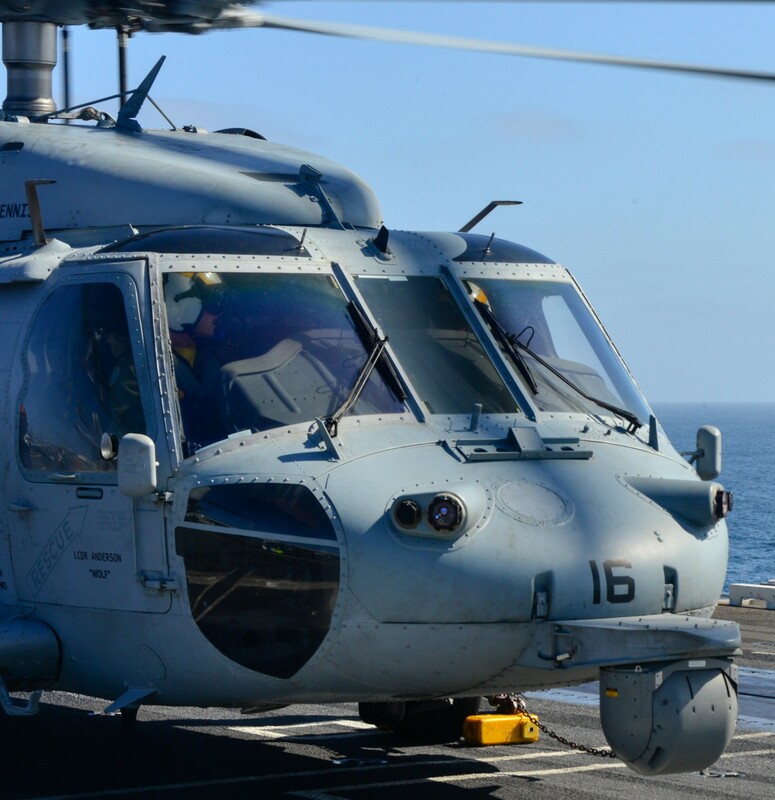 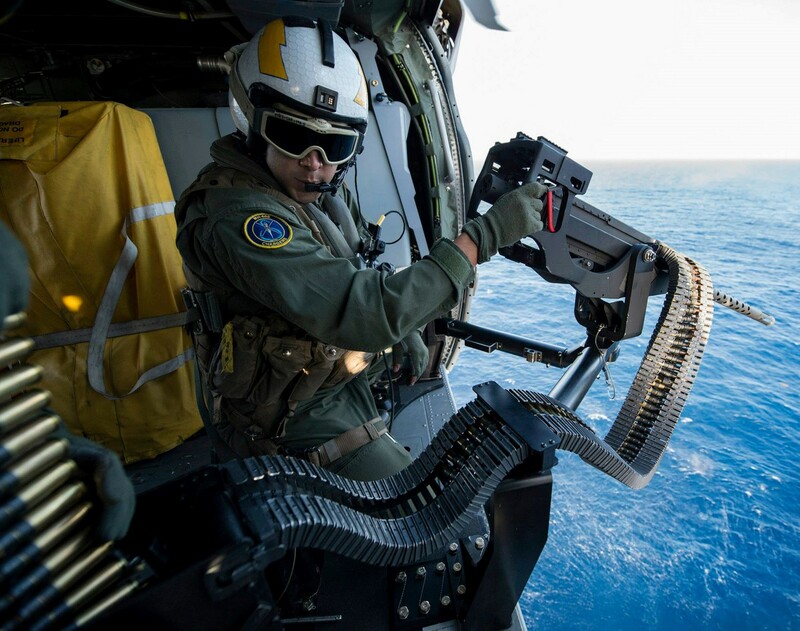 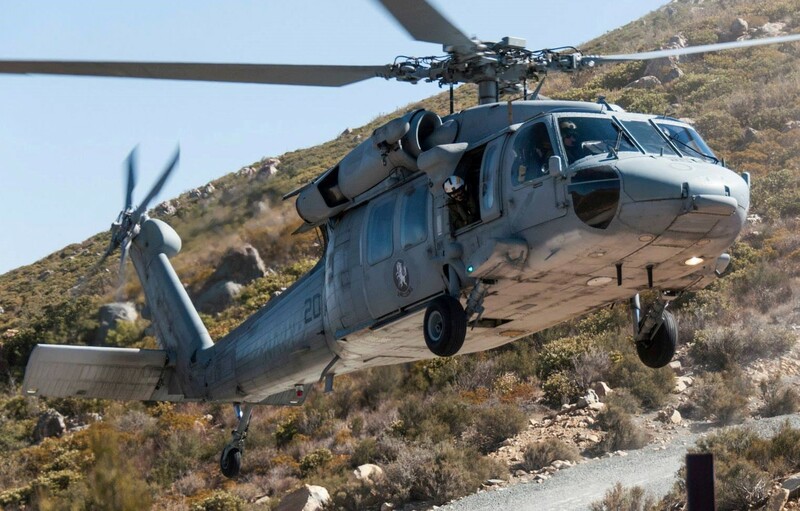 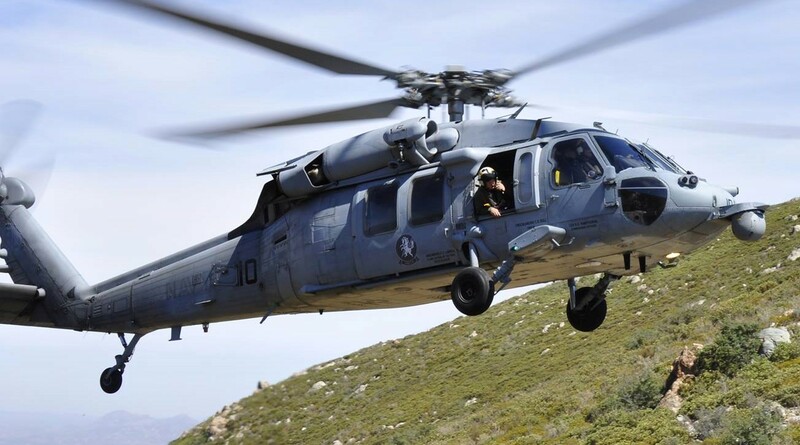 Since moving to San Diego, HSC-14 has executed multi-lateral training with other local units to include other helicopter squadrons, SEAL and Special Boat Teams, Border Patrol and Coast Guard entities. 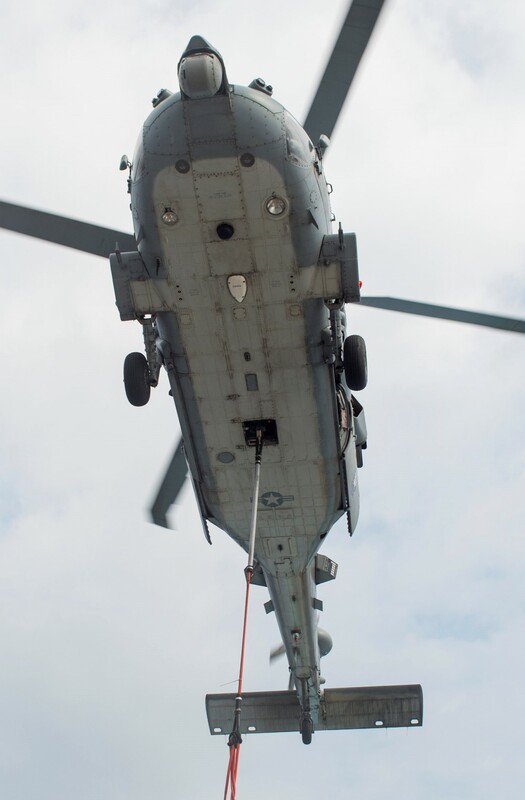 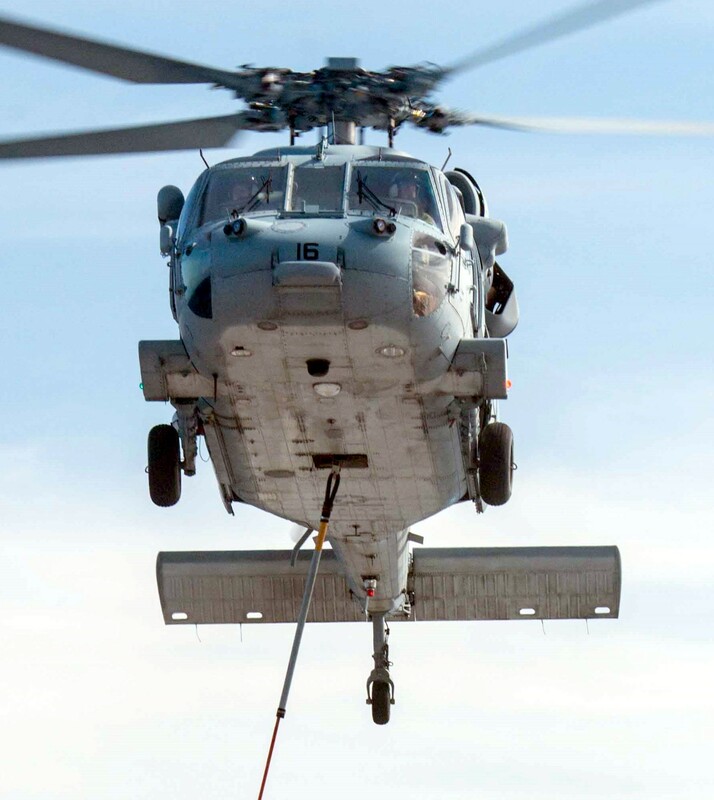 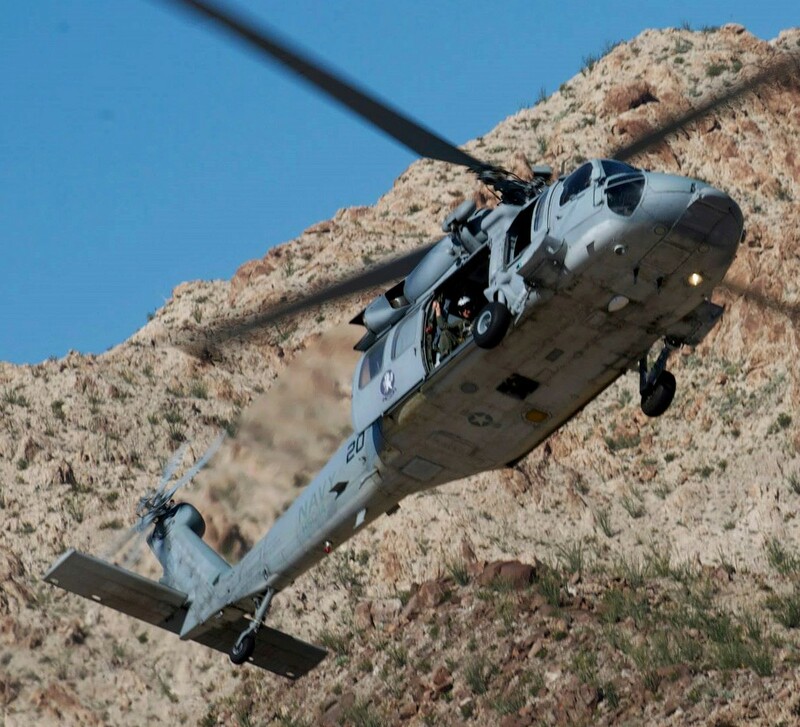 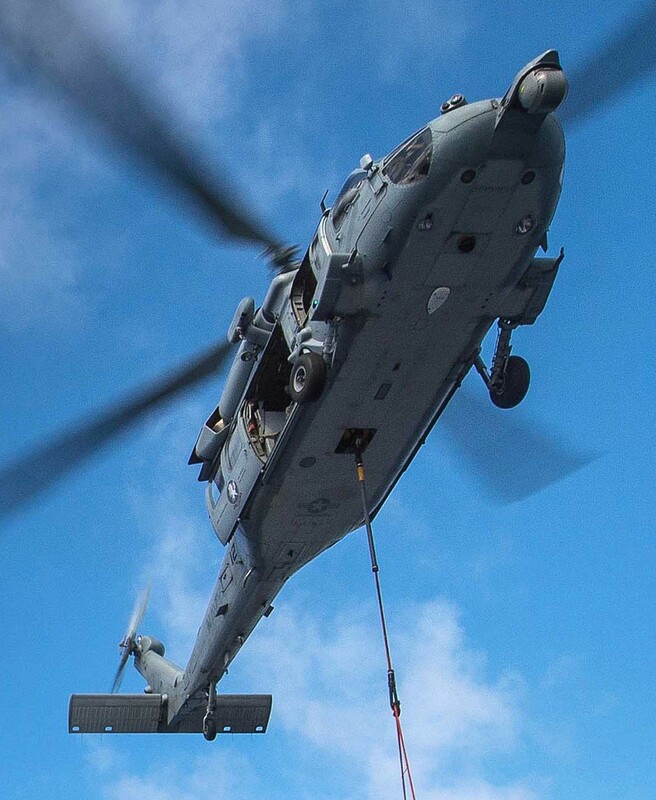 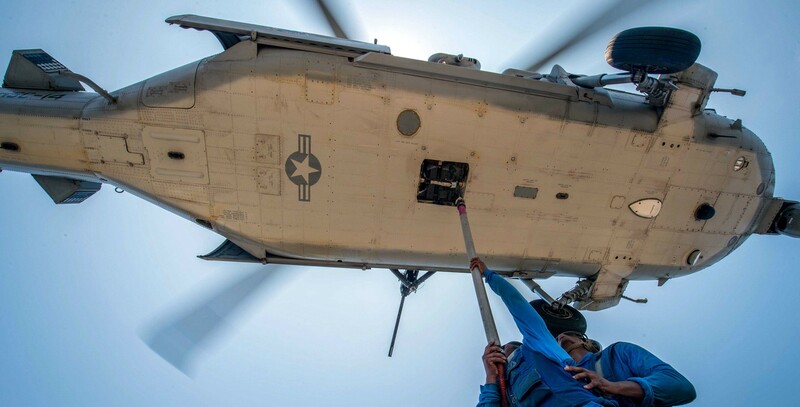 Today, the squadron’s primary missions include Vertical Replenishment (VERTREP), Vertical Onboard Delivery (VOD), amphibious Search and Rescue, Personnel Recovery (PR), Special Operations Forces support (SOF), Combat Search and Rescue (CSAR), Maritime Interdiction Operations (MIO), Anti-surface Warfare (ASUW), and CV Plane Guard/SAR and Fleet Logistics Support.